Just One Month Until Securities Enforcement Forum 2014! 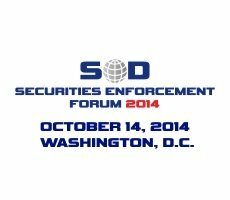 Browse: Home / SD Insider, SEC / Just One Month Until Securities Enforcement Forum 2014! Securities Enforcement Forum 2014 is now just one month away! Have you registered yet? On Tuesday, October 14, 2014, the key players in the securities enforcement world will come together at the Four Seasons Hotel in Washington, D.C. to attend Securities Enforcement Forum 2014. Six extraordinary panels featuring 36 of the leading regulators, prosecutors and private attorneys in the field have now been set. (Click here for full details on the Agenda and Panels). 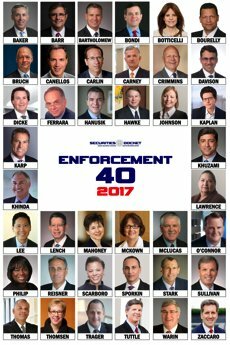 Securities Enforcement Forum 2014 will be anchored by two can’t-miss Keynotes by U.S. Attorney Preet Bharara of the Southern District of New York and SEC Commissioner Michael Piwowar. It will also feature an extraordinary Directors Panel made up of current and former SEC Enforcement Directors Andrew Ceresney, George Canellos, Robert Khuzami, Linda Chatman Thomsen, Bill McLucas and the Hon. Stanley Sporkin, plus five other stellar panels throughout the day! Please join us at the Four Seasons — Washington, D.C.’s only five-star, five-diamond luxury hotel — for a unique day of interactive panel discussions and networking opportunities with old and new friends, colleagues and acquaintances. Six hours of CLE credit (pending approval) will be available to attendees. Click here to register for Securities Enforcement Forum 2014!